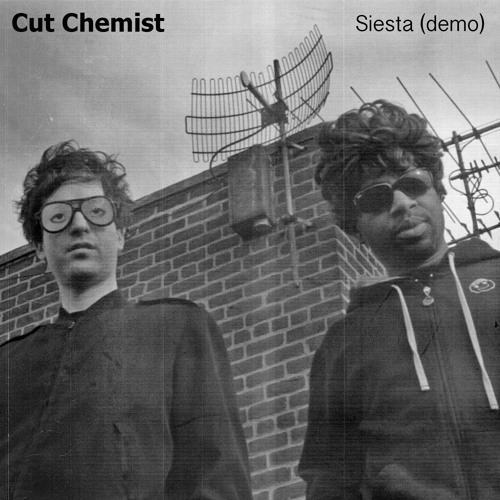 Siesta (demo) "This is the demo version of the song Storm featuring Edan and Mr. Lif. In the 11th hour of making The Audience's Listening, I swapped the music out from this funky break beat to a psychedelic post punk drum machine. At the time I was looking to reinvent myself and I saw this as the perfect opportunity to do so. I couldn't be happier with how the final product turned out. It's fun to go back and listen to what Edan and Lif actually recorded their verses to. This is more of a "classic" Cut Chemist production that one might recognize from the late 90s/early 2000s." -Cut Chemist THE AUDIENCE'S FOLLOWING will be released on July 11th, 2016 on the ten year anniversary of Cut's debut album, THE AUDIENCE'S LISTENING. This follow-up is filled with never before heard music, alternate versions, instrumentals and outtakes from the original 2006 session reels. "It's the follow up and the audience is still following and listening and ... whatever else"
i wish edan had more tracks!!!!!! Reminds me of Jurassic 5, love it. Took me back to parks in the Bronx in the late 80"s. Thank u. @dj-kesta: 100% correct. And it's one of the best tracks on the album. Speaking of Edan, he's long due for an LP. More than 10 years since Beauty and the Beat. This is dope! But you right, Lp's version is MORE DOPE! !